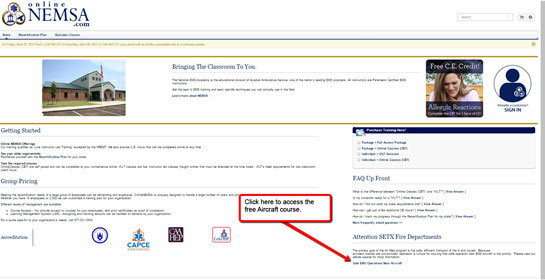 In an effort to provide education for general aircraft operations and safety to your departments we have made our customized Acadian Air Med computer based training module public for all of your department members. It’s located on the bottom right of the home page of onlinenemsa.com. The link to the full course (test included) is provided free of charge with no need to create an account. Please let me know if you have any questions and share this information as far and wide as you see fit. ← The Port Arthur Fire Department Sponsors NFA Course on Firefighter Safety on March 4-5, 2017 as P.A. Civic Center.